Here at Nautilus Diving in Phuket we are all about diving, a fact that you may know all too well, if either you have heard about us, been reading our blog, or of course, if you’ve been diving with us before. We offer PADI courses to those who want to become certified divers, individual diving courses for those individuals, who wish to explore the world below the sea-level, and of course group trainings, for those wishing to both endeavour in underwater adventures, and make new friends along the way. 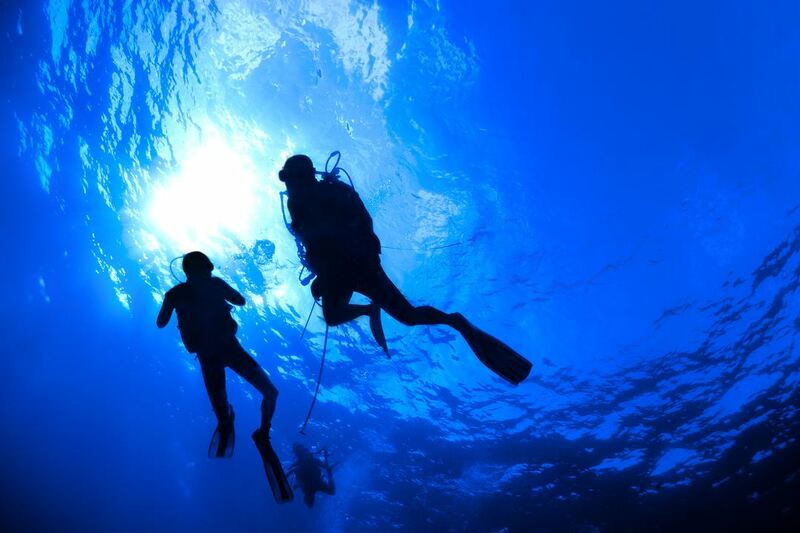 Whilst some prefer to learn the skills of diving underwater alone, others instead choose to learn it with other people from all over the world, to get both the diving- and cultural experience of a diving course. From diving in the pool to diving in the open sea – we offer every possibility here at Nautilus Diving at Karon beach in Phuket. For those of you who wish to explore the breathtaking widths of the ocean-floor around this beautiful island, we also offer a long range of daily dive trips. Kata beach, Phi Phi island, Racha Noi, Koh Doc Mai, Racha Yai, Koh Pu – the opportunities are manyfold – the picturesque views different from location to location. Whether it is for a day-trip or liveaboard trips stretching over several days, you’ll be guaranteed to find a suitable trip for you here on our website. Both links take you to pages with a lot of information, picturesque sceneries and of course a contact form, where you at all times can send us your enquiries, if you’re unsure about something before you make a booking. You can also see the prices for the equipment and other useful information via the above links, so you won’t be in for any surprises once you reach our diving school located right at the beach. Don’t take it from us only though – take it from our previous clients. If you want to hear how it really is to dive with us, come visit our review section where you can read our recent reviews from clients (and now enthusiastic divers), from all over the world. No matter whether you’re an experienced diver or a novice to the world below the sea-level, we can guarantee you that amazing locations and new experiences are awaiting you. Dive trips with us are something new, something special and something you won’t forget ever. Do we over-exaggerate? No we don’t – but why don’t you come find out. Come dive with us, come explore species below the sea-level that rarely see the word above it. Our daily dive trips include everything that you may need – all it needs to make it an unforgettable excursion is YOU!